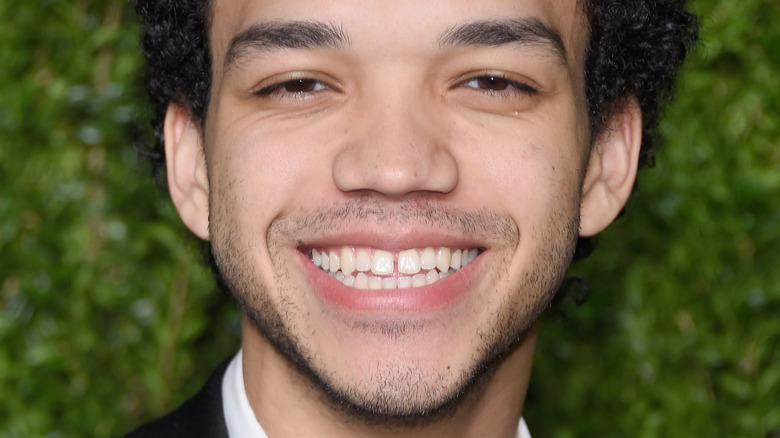 Justice Smith has just made history. The 22-year-old actor is set to star in the leading role in the first-ever live-action Pokemon movie (via Variety). The Legendary Pictures feature is based on the mega-successful franchise's Detective Pikachu character, who roams about the universe solving mysteries and, of course, creating friendships along the way. Goosebumps helmer Rob Letterman is attached to direct, with Guardians of the Galaxy scribe Nicole Perlman and Gravity Falls series creator Alex Hirsch on board to whip up the script. The first in what is intended to be a new film series centered around the Pokemon franchise, Detective Pikachu has been at the top of Legendary's list of priorities ever since the studio snagged the rights to the Japanese property last summer. Toho, longtime partner of the Pokemon Company, will distribute Detective Pikachu in Japan. Universal Pictures will distribute Detective Pikachu to remaining global territories. Since its introduction in Japan over 20 years ago, the Pokemon franchise has created countless television series, animated films, and card and video games. The first animated Pokemon feature, aptly titled Pokemon: The First Movie–Mewtwo Strikes Back–came in 1998. Nineteen other films followed in the years after, and the series has sold more than 295 million video game copies and 23.6 billion trading cards worldwide to date. Pokemon reached a new level of success with Pokemon GO, the monster-catching mobile game, in July of 2016. Smith got his big break in the Netflix drama series The Get Down, a project that director and executive producer Baz Luhrmann hand-selected the actor to star in. Sadly, the show only ran for a single season before getting the ax, but it wasn't all bad news for Smith. Filmmaker J.A. Bayona tapped him for a leading role in the Jurassic World sequel Jurassic World: Fallen Kingdom, starring Chris Pratt and Bryce Dallas Howard. Smith has also appeared in Paper Towns, the film adaptation of John Green's novel of the same name. Be sure to check back with Looper for more updates on the live-action Detective Pikachu movie.